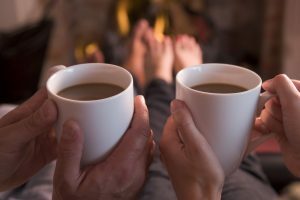 The Pleasure Of Coffee: Addiction or Just Enjoyment? There’s absolutely no doubt that coffee is one of the great pleasures of the world. But there is some matter of contention wondering where the balance is between enjoyment and addiction (mostly to the caffeine aspect, you could probably assume). So for those of us with coffee habits, it’s at least something to wonder about in passing. Five aspects of coffee to look up as your pondering where you are on the scale of enjoyment or. requirement might be learning about the chemical nature of coffee, brushing up on the types of coffee that there are, going to tasting classes, browsing through research studies, and understanding that your tastes will change and develop as you get older. Caffeine is addictive. It’s often thrown out there in discussions about substance abuse, in fact. It’s not likely that anyone would ever call caffeine a ‘gateway drug’, but it’s certainly interesting to note that when you do become addicted to caffeine, it can have as powerful a draw as many other more nefarious drugs can get on you. Many times nicotine gets put in the same boat – as a legal way to feel high, generally speaking. Along with the discussion of the abuse of chemical agents though, there’s the pure conversation about how to enjoy different types of coffee. Espresso, Americano, mocha latte, and a billion different variations with temperature, blend, type of milk, or other added ingredients – some of the pleasure of coffee strictly comes from knowing and understanding all of those variations, and picking and choosing not only ones that fit your mood, but might fit the mood of other people you’re with as well. It’s a good thing to be known as a coffee aficionado among your friends! One way to get more structured knowledge about the enjoyment aspect of coffee is to attend a coffee tasting class. And not only will you learn a ton about coffee and it’s preparation, you’ll also typically learn about caffeine and it’s affect on the body, and how different preparations of beans lead to different properties. As a fan of coffee, you’ll learn that your tastes, needs and desires will change as you get older as well. You may eventually have a more refined desire for a certain kind of taste, or you may develop a sensitivity to caffeine and have to go decaf eventually. You have to work with your body instead of forcing it to do things it used to do, even with respect to your favorite drink!